Bone dry and pale with a mouth watering palate. 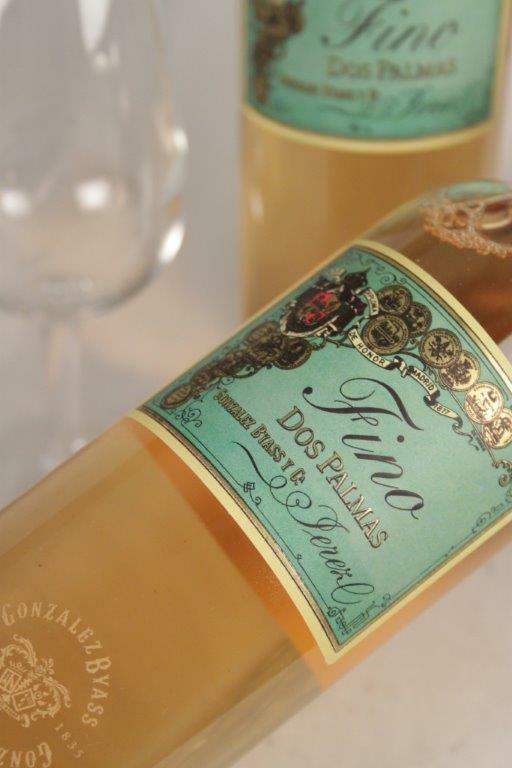 Finos are aged in cask under a layer of protective yeast that forms naturally called flor. They are aged for a minimum of three years however some producers may age them for longer to develop richer, deeper flavours. The classic tapas accompaniment, serve as cold as possible! 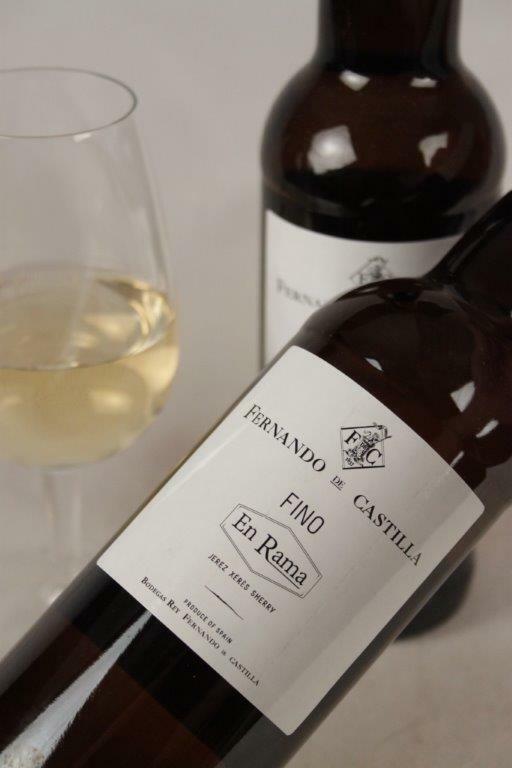 En Rama Fino has become hugely popular in recent years and is a Fino drawn off from a barrel without fining or filtering. 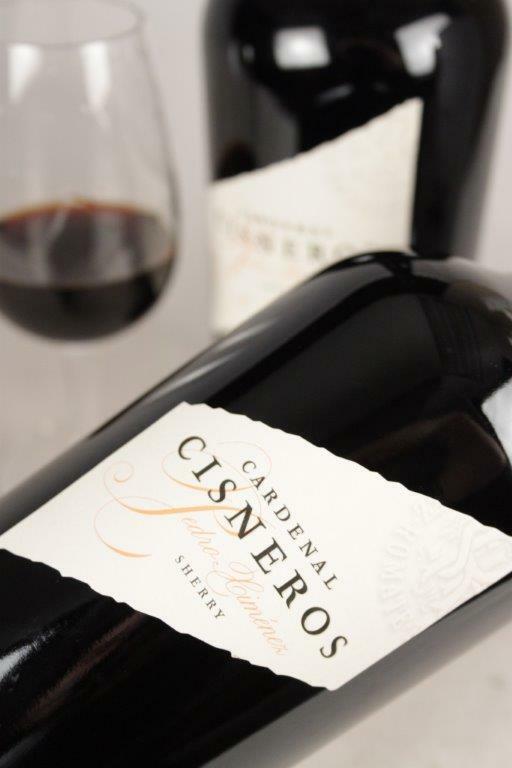 The wines are delicate and fresh and perfectly capture the essence of a producer’s vineyards. Like Fino, Manzanilla is bone dry but is made next to the sea in Sanlúcar de Barrameda. 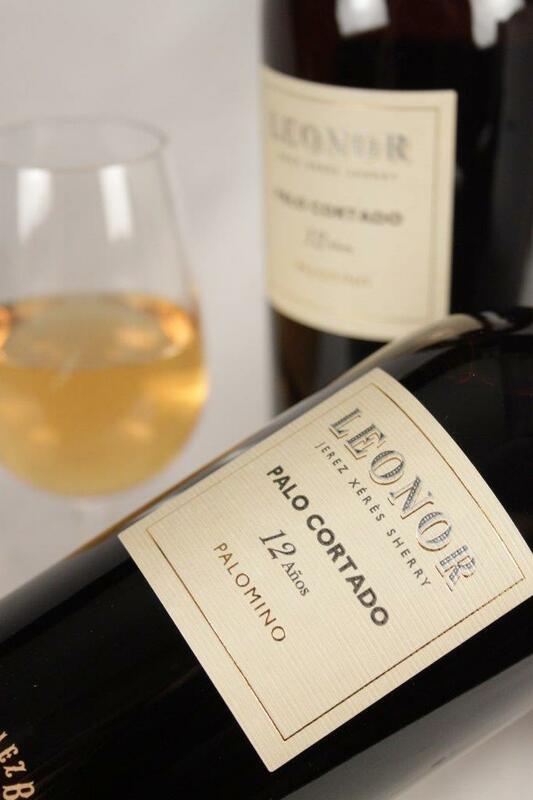 This climate means that the flor develops quicker and the wines have a salty character as well as fresh acidity. 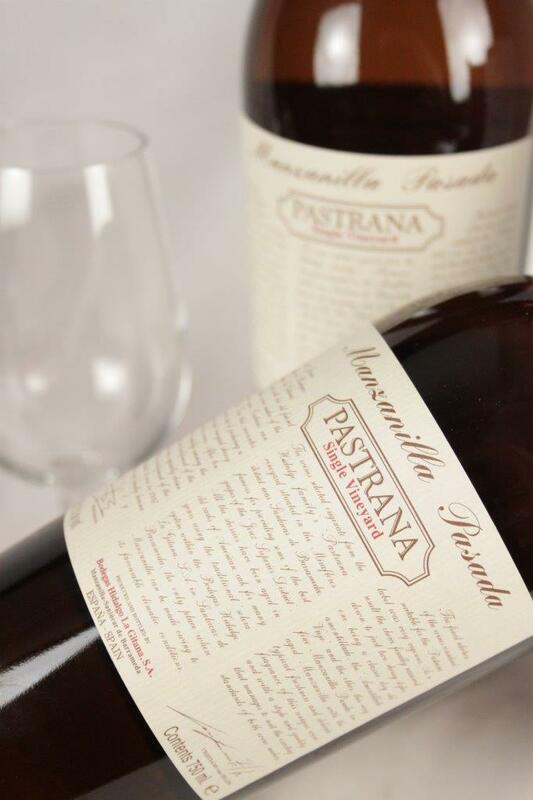 Manzanilla can spend anywhere from two to twelve years plus in a solera which can result in some rare additional styles such as Manzanilla Pasada. This Sherry spends seven years in the solera so the yeast flavours from the flor diminish and it starts to become more like an Amontillado. 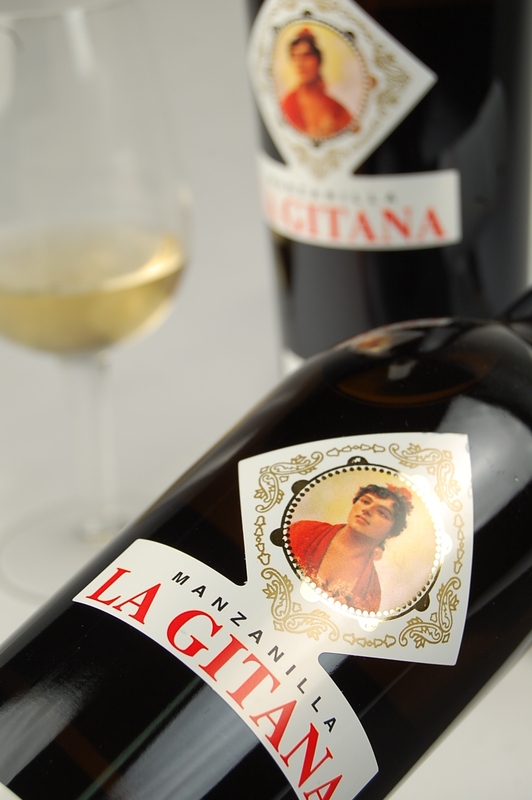 Fresh Manzanilla is brilliant with seafood or just super-chilled on its own in the sunshine. Amontillado Sherry is dry. 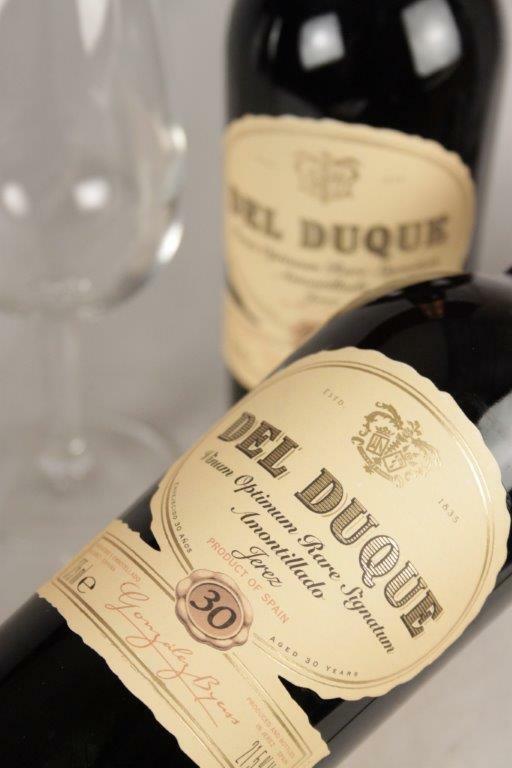 Until recently, it was made in either a dry or medium-dry style but recent legislative changes have restricted the allowable residual sugar level so they are consistently dry. This style of Sherry starts its life as a Fino but becomes an Amontillado if the flor fails to develop to the required level in barrel. 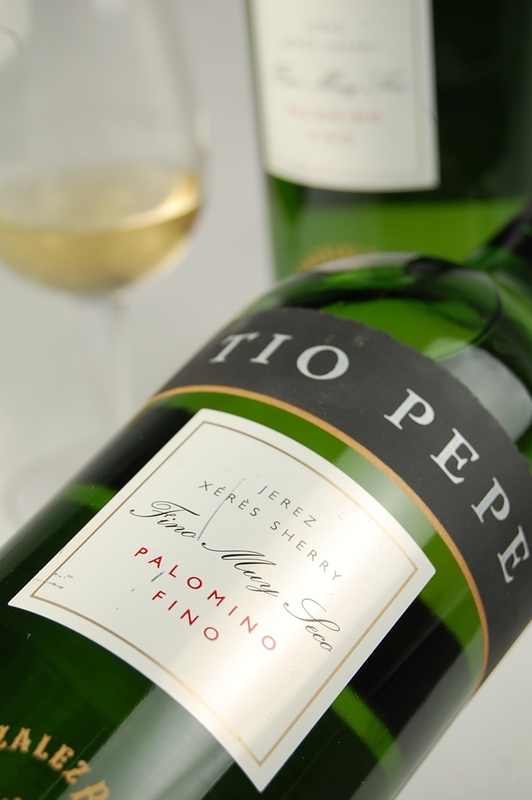 They are fuller and nuttier than Fino wines and spend a minimum of ten years in the solera. Amontillado is an amazingly versatile match to many foods including oriental dishes, consommé, seafood, nuts and cheese. Unlike Fino and Manzanilla, this should be served at cellar temperature so cool as opposed to cold. 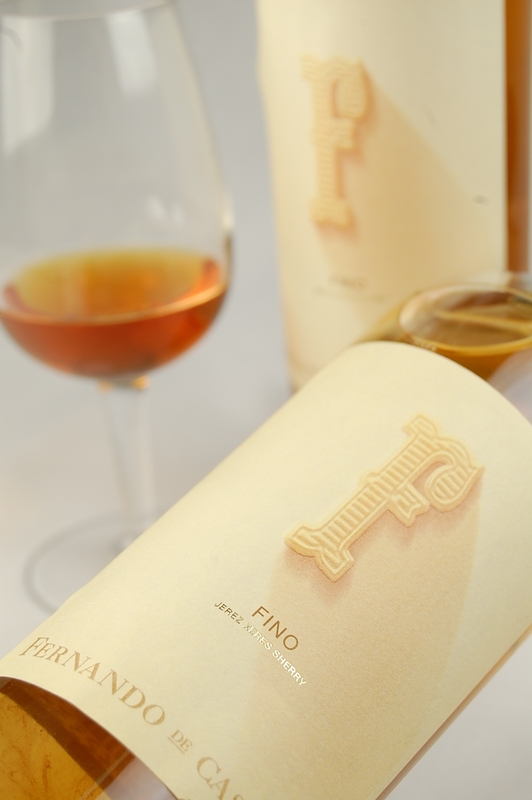 A rare style of Sherry that develops a flor like Fino and Amontillado which, for an unknown reason, dies. Once it has gone the wine begins to oxidize when it ages so develops more like an Olorosso. They are a great aperitif with some nuts or olives thanks to the savouriness and rich character of the wines. 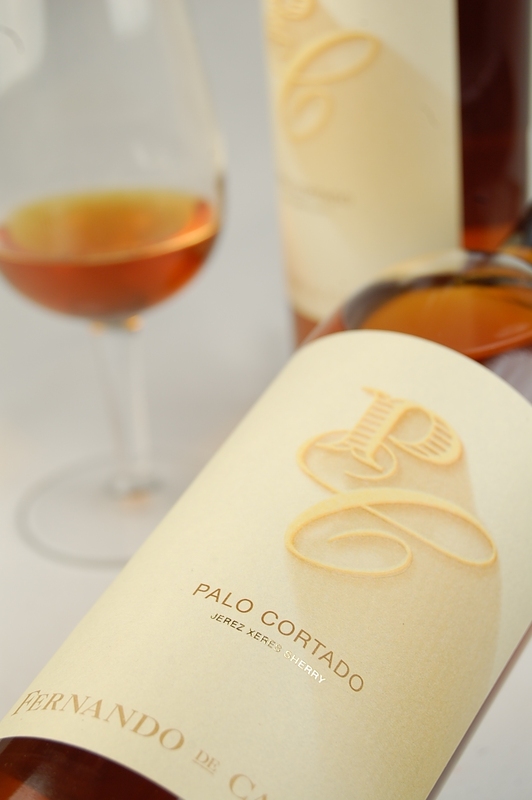 Fernando de Castilla’s Antique Palo Cortado is a superb example of the style. The only style of dry Sherry that a flor is prevented from growing on. 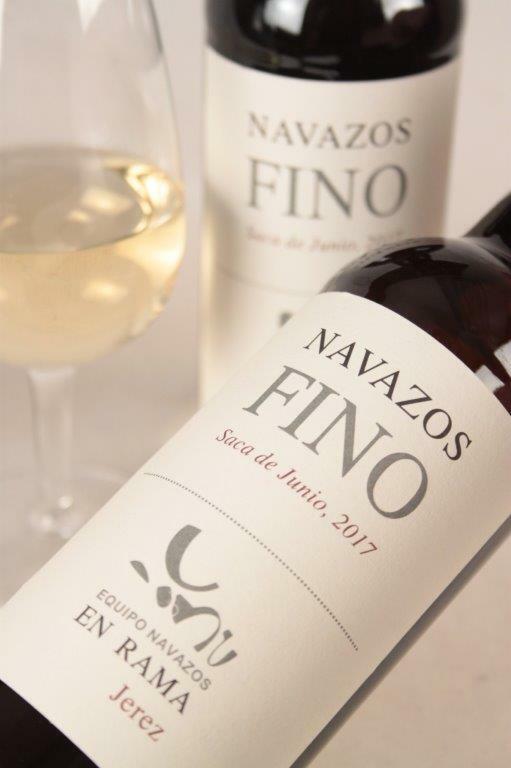 This means that, without this protective layer, they have a long oxidative ageing and shun the fresh, salty, yeasty flavours of Fino, Manzanilla and Amontillado wines. 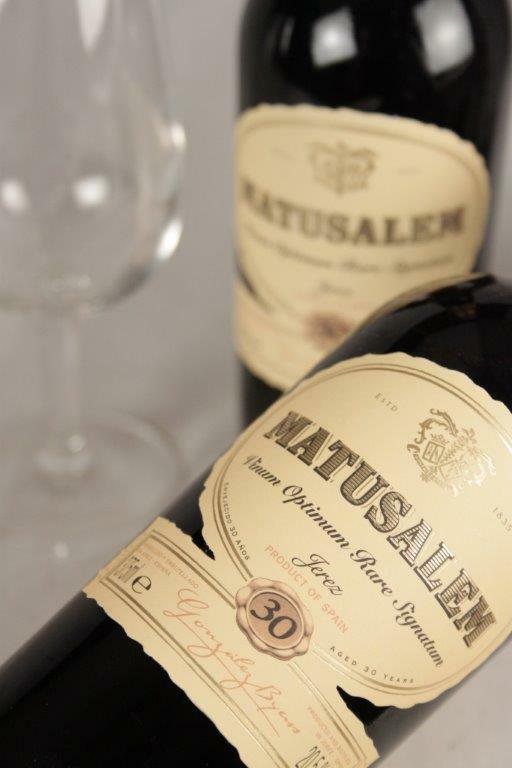 They are rich and nutty and thanks to the exposed ageing process are amongst the longest lived of wine styles. Sweet Olorosso wines are also available and are made by adding some sweet Pedro Ximenez to the dry wine. Often used for sweetening dry wines to produce sweet styles like Cream, Brown and sweet Olorosso, this grape has found fame on its own thanks to the single varietal wines that are now produced. The grapes are sun-dried after harvest to concentrate the sugars and are then made into wine. 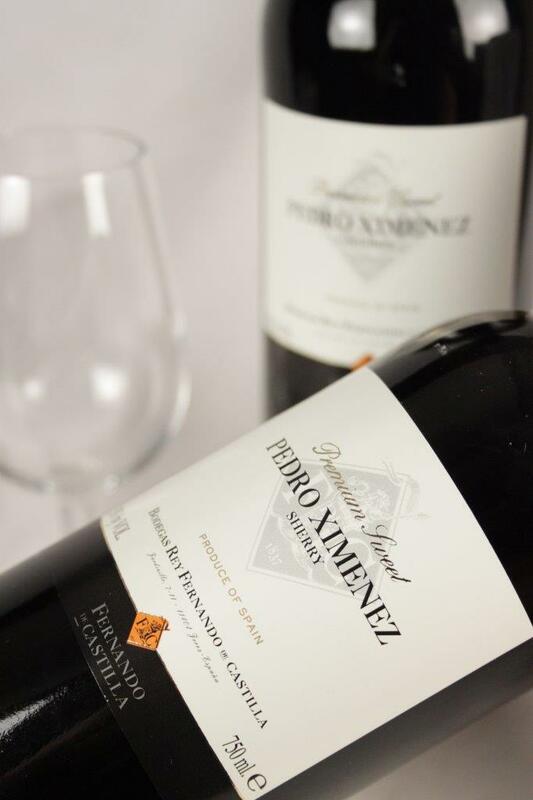 Pedro Ximenez wines are intense and unctuous with intense dried fruit flavours and an almost syrupy quality in the older ones. Despite Sherry being the ‘next big thing’ for the last decade or so and the fact that its popularity has increased, it still represents extraordinary value for money when the diversity of styles, bound together in that they are all fortified wines, is considered. Below you can view our hand-picked selection of Sherry available to buy in store or online at Hennings Wine Merchants.